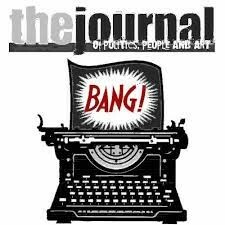 The North Coast Journal is looking for a talented staff writer to add to our award-winning editorial team. The ideal candidate is a naturally curious critical thinker who can write clearly and compellingly, digest large volumes of information and explain complex concepts and systems. She or he is someone who is able to juggle multiple tasks and duties in a dynamic environment, while paying tremendous attention to detail. She or he is comfortable talking to people from all backgrounds and demographics, and able to treat all sides of an issue with fairness and empathy. Most of all, she or he is someone with a deep passion for telling the stories of the North Coast and helping Journal readers better understand and engage the world around them. Photography, videography, audio, proof reading and social media skills are a huge plus. Journalism experience preferred. If this sounds like you, please send a resume and several samples of your work to Journal news editor Thadeus Greenson at thad@northcoastjournal.com. This is a full-time position and compensation will depend on experience.